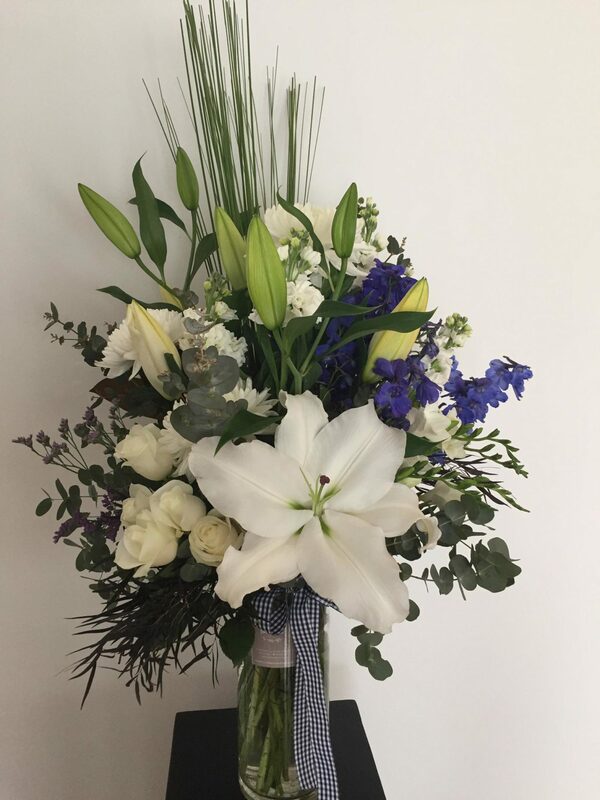 A delightful combination of seasonal blooms in white and blue for a baby boy. 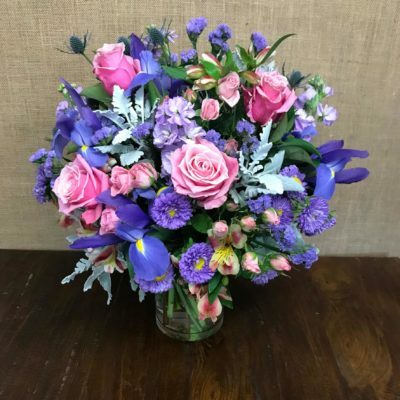 We hand pick our flowers fresh from the market to ensure the best quality flowers. 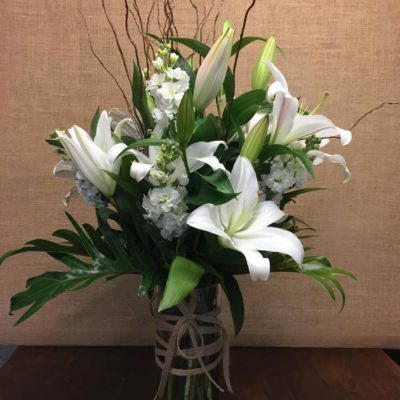 Flowers are subject to availability & season. 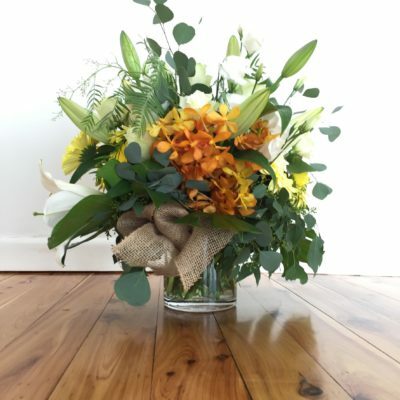 If a flower or plant is unavailable we will substitute with the same value and colour to keep in with your theme. This can also be made in pink and white for a baby girl.